Croach® professional pest control technicians and friendly customer service staff take your safety, health, and peace of mind very seriously. 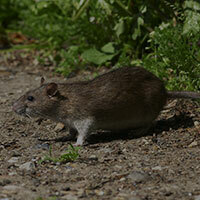 Norway rats, roof rats, house and deer mice are a common problem in the Vancouver/Portland area. According to a study by The American Journal of Tropical Medicine and Hygiene, rats have favorite garbage food that includes scrambled eggs and macaroni and cheese. They are not fans of beets, but they’ll eat just about anything humans do during the lean times. These rats and mice in the wild are more dangerous than you might think. Not only do they destroy property and cause stress or annoyance in your life; but they spread illness and disease, and contaminate our food. To help keep rats at bay, seal your garbage in rat-proof containers; clean up dog droppings, birdseed, and fallen fruits and berries from trees and shrubbery; and cut back shrubs and branches that are near or on the exterior and roof of your home. The loathed brown marmorated stink bug has made itself known across Washington and Oregon. It is the cause of millions of dollars in property damage in the Atlantic states – a scenario we want to avoid here with 3.1 billion dollars of tree fruit at risk in Washington. It is a nuisance pest in homes and office buildings where it seeks warm shelter during the colder months. And it emits the highly unpleasant stench of dirty socks when crushed. You can tell the brown marmorated variety from other stink bug species by the thin white bands on its antennae. 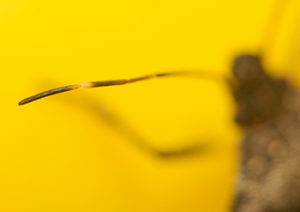 Yellowjackets, hornets, and wasps are also a concern for Vancouver, particularly when they build a nest near or on your home. They are attracted in swarms to outdoor food and garbage. They may attack in swarms when agitated or disturbed. Avoid wearing perfume, hair products or other strong scents as well as bright colors such as yellow, orange and red when spending time outdoors. But here’s some good news … Vancouver is the discovery site of a wasp, called Trissolcus Japonicus, that kills brown marmorated stink bugs! Ants, silverfish, springtails, fleas, earwigs, and cockroach infestations are common problems here as well. We are also home to a variety of spiders including hobo, house, black widow, wolf, yellow sac, and brown recluse. Croach® honors the benefits of some of our rodent and insect life. But when they become pests – a health or safety risk, a destructor of property, a violator of your peace of mind and sense of security – we step in with knowledge, experience, and solutions to the problem. We serve neighborhoods across Vancouver such as Wildwood, Vancouver Heights, Rose Village, Riverridge, Ogden, Northwood, Mountain View, Maplewood, Hough, Fruit Valley, Evergreen Highlands, Edgewood Park, Columbia Way, Carter Park, Burton Ridge, Bella Vista, and Arnada. Vancouver neighborhoods who belong to a homeowners association are saving money and receiving customized services from Croach® with a group package. Contact us today for details. Initial Inspection. We inspect your property, identifying current and past pest activity inside and outside of your home. Interior Treatment. Once we identify your pest problems, we get to work ridding your home of pests and stop others from entering. Wasp and Spider Control. We are meticulous about prevention. Croach® technicians will remove spider webs and wasp nests found on your property. Exterior Treatment. Points of entry on the outside of your home are treated. Eaves, windows, doors, and the foundation are possible entrances for pests. Creating a barrier prevents pests from entering and infesting your home. All homes and families are not the same, so your pest extermination and prevention shouldn’t be either. At Croach®, we partner with you for maximum results. We listen to your concerns and recommend hi-tech solutions. With our expertise and a program personalized for your unique situation, your home can be safe and pest free. We are continually improving our support and services so that we can provide you with a great experience. "After one year (with another company), we moved to Croach and it has been such an awesome experience with them. Very knowledgable and patient in explaining what was required. They were very professional and always cared to follow up." "Professional, knowledgeable and efficient. 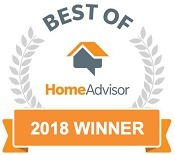 If you’re looking for a company that will do a great job and has reliable, polite technicians (who are happy to answer your questions – I had many), look no further." "I would recommend this service to everyone. Customer service is outstanding. I’ve used the service almost two years and without fail, the technician is on time and does an exceptional job as scheduled. No bugs or spiders here after the spraying has been completed. I consider this money well spent on the upkeep of my home." "Their electronic notifications and personal customer service is fantastic. There are times when I find a need to have a treatment outside of their regularly scheduled visits and they timely arrival and flexibility is wonderful." "(Your tech) is always very professional, takes his job seriously. I am very impressed!" We serve the Vancouver area including Portland, Longview, Ridgefield, Gresham, Happy Valley, Hillsboro, Forrest Grove, Tigard, Tualatin, Salem, Albany, Corvallis, Camas, Newport, and King City, Oregon. Call Croach® for cost-effective pest control in Vancouver, WA at (503) 430-5974 or schedule a pest inspection online.